Artificial Intelligence is a very big thing for the current technological industry. The rise of AI has opened up countless opportunities for us to make new strides in the development of the current level of technology; the further we go into the studies of modern AI the newer the horizons we discover. OpenAI is one of the biggest names which comes to mind when anyone thinks of AI-related research and development. With the introduction of OpenAI, Elon Musk had set a goal to create modern and advanced AI with countless beneficial applications for humanity as a whole. The scientists working under the OpenAI banner have worked countless hours and pitched in their experience in the field of AI to achieve things which were beyond human imagination a few years ago. One such thing is AI in eSports. With the public reveal of the Beta version of the new Dota 2 AI by OpenAI, we got to witness how powerful AI really is and how much impact it can have in the field of eSports. The first showcase of the power of Dota 2 AI by OpenAI was witnessed when it was unveiled during a special event at The International 7. It faced one of the fan favourite players Dendi in a 1v1 match with some imposed restrictions to moderate the playstyle of the game. The OpenAI Dota 2 AI created history at the very event by defeating Dendi and bringing to light the power of AI to the likes of the world. According to OpenAI, the AI learnt by playing the game at a rate of 180 years worth of games against itself in a single day which is a massive feat in itself. It was also pitched against other pros to allow it to adapt to their playstyle and gain crucial data before it was finally made to face Dendi in the grand unveiling where it took the win effortlessly and proved its capabilities. With the great success in the 1v1 events of Dota 2, the OpenAI team wasn’t really happy with their current results back then. They wanted to push their Dota 2 AI even harder and thus, they initiated their phase 2 where the AI learned to play a full game of Dota 2 and perfected the art of winning a 5v5 match. This was the full-scale transformation to the current OpenAI 5. With coming time and much more research being done, the OpenAI 5 was ready to play its first 5v5 game against real human players. The AI headed into its first battle against a team composed of Dota 2 players of the top 0.05 percentile on 5th August 2018, during a live benchmark full of audience and spectators waiting to see the final outcome. Even this time the match was restricted to tone down the game for the AI so it had a fair chance of cooping up and winning. In a historic battle, the AI stood as the victor and defeated the human team. The only goal left for the OpenAI 5 team back then was to achieve victory against a professional Dota 2 team in unrestricted 5v5 matches. During TI8, the OpenAI 5 was put up against actual professional teams namely Pain Gaming and a Chinese All-Star team in 5v5 matches as a showcase event, to entertain both the audience and to allow the AI to test itself out. Even though the AI delivered a stunning performance, it failed to secure a win in any of the matches it played. But this didn’t stop the OpenAI 5 team from achieving their goal. With the valuable data the OpenAI team gathered from the TI8 showcase event and a determination to prove the power of the AI they created and worked on, the team prepared the AI to face-off against the winner of TI8 during early 2019 in one final showdown. The final OpenAI 5 was presented and revealed on 13th April by the OpenAI team which was meant to face OG, the winners of the The International 8 during a live event. During the game, the AI far outclassed its human counterpart by showing its insane playstyle and supreme control on the flow of the game. Without much effort, it whitewashed the lineup of OG with a clean 2-0 win in BO3 styled 5v5 game of Dota 2, this time, without any restrictions to the gameplay. The major win of the AI over the TI8 winners OG proved how powerful AI actually is and how much capability and potential it actually holds and thus, left the world stunned. Within a span of barely 2 years the smart-working OpenAI team had shocked the world multiple times, first with a win over Dendi in a 1v1 match during TI7 and then going all the way to achieve a flawless sweep over TI8 winners OG. After witnessing such success of the Dota 2 AI by OpenAI in such a short time, we are left stunned and our ideas regarding AI, its implementation in video games and eSports remain challenged. It is easy to imagine a world dominated by the power of AI after such an outstanding showcase. 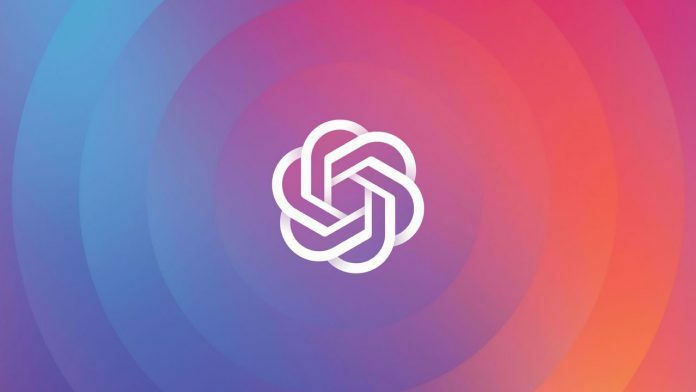 OpenAI taught us a worthy lesson regarding AI and its implementation and it is obvious that the OpenAI team will keep impressing us with much more things to come with their AI technologies in the coming future.